The Stone Lantern is quite a large "little" shop. Five display rooms offer a wide variety of both contemporary and antique oriental accessories: porcelains, obis, netsuke, precious and semi-precious jewelry, probably the largest offering of ikebana containers and supplies in the country and an extensive line of carved rosewood vase bases. 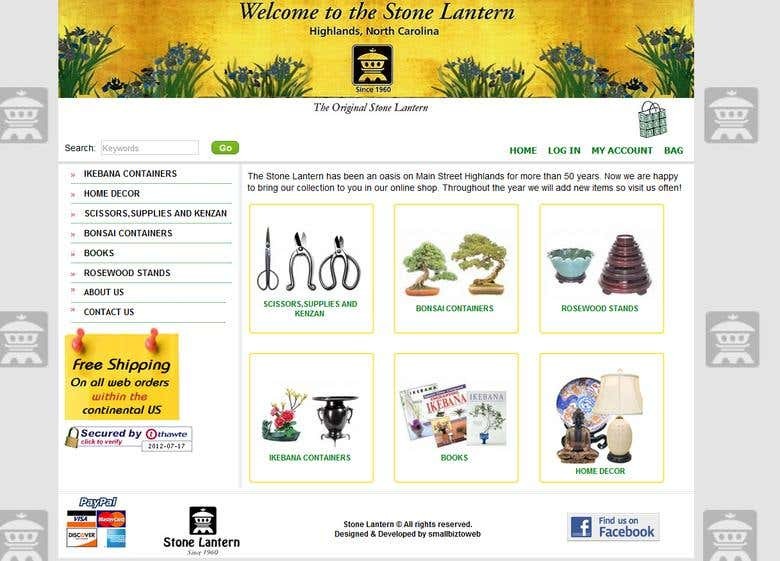 As our name implies we carry a wide range of stone lanterns and stone basins as well.